An unfinished underground theatre in Islington, London was an unlikely location to unveil the new seven-piece line-up of Simple Minds, but its brutalist clean lines, minimally lit, provided an uncharacteristic curved backdrop for the band's latest video performance. Gone were the sweeping camera zooms and tilts of the Graffiti Soul videos. 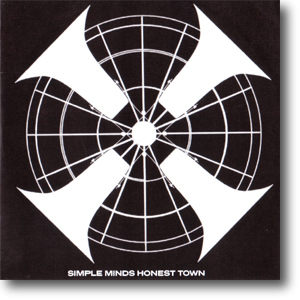 Honest Town featured slow, gentle pans and sweeping profile shots of each of the band members. It was another dark video, but unlike Home, everyone was well illuminated against the dark concrete backgrounds, rather than being plunged into silhouette. It was also prime material for album artwork, and several photographs taken at the shoot were featured in the Big Music artwork. All the band members got a moody portrait shot towards the song’s close. This ensured that everyone really noticed Catherine AD – if you hadn’t caught glimpses of her previously. She was part of Paul Statham's Dark Flowers project and Jim asked her to join the band for the Big Music tour. But it left one unanswered question: Was Jim's alternating shirt and T-shirt a continuity error or sly nod to the audience? A behind-the-scenes video was filmed by Kit Cummings during the main shoot. It featured interviews with the band and director. The video is available on YouTube and was first made available on The Guardian's website on the 29th September 2014. A behind-the-scenes commentary and making-of video was included as an extra on the Big Music Deluxe Edition. This was also premiered on The Telegraph's website on the 29th October. Many thanks to Massimo for the scan. Many thanks to Lionello for the scan. Much more interesting was the Japanese promo DVD which was produced by Hostess Entertainment. 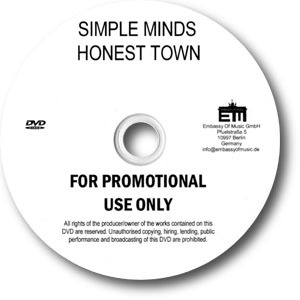 This also included information and artwork about the album on the DVD label.